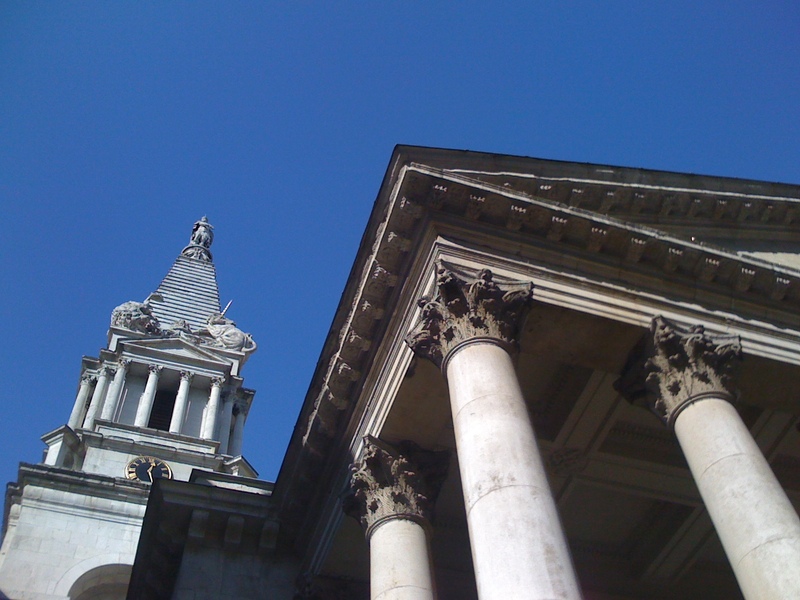 The 1711 Walk Guide will be launched at St Alfege Greenwich at 9:00 a.m. on Sunday 12th June. This is the exact 300th anniversary of Queen Anne’s grant of assent to the Act for Building Fifty New Churches. There’s an 8:00 a.m. service at St Alfege which those walking from Greenwich might like to attend. The Guide contains information about the times of services and other events on the 12th. For those who’d like to let others know that they’ll be walking some or all of the route that day, there’s a Facebook event page. There’s an article about 1711 Walk on the Greenwich Phantom website (An Intimate Guide to LIfe in Greenwich). The 1711 Walk route starts in Greenwich and the Guide will be launched there on Sunday 12th June. There are also mentions on the Time Out website and on Leigh Hatts’s blog, London’s 100 Best Churches. Boris Johnson, the Mayor of London, has expressed his support for 1711 Walk, saying: “The concept to walk and link 12 churches in London is a brilliant idea and I hope it is a great success. I would like to take this opportunity to extend my warmest good wishes to all connected with 1711 Walk”. 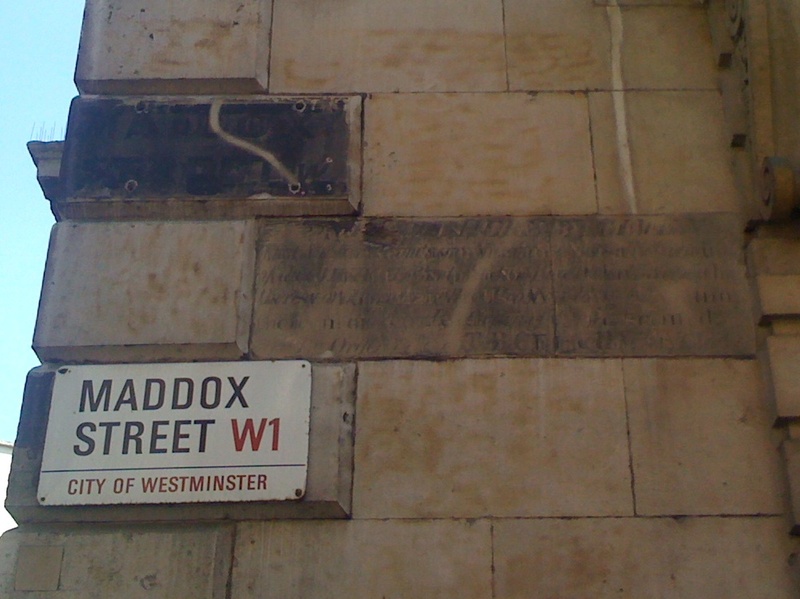 Those with the stamina for an alternative London marathon this Good Friday can hear the St Matthew Passion (probably first performed on Good Friday 1727) at St George Hanover Square (built 1720-25) (14:30 to approx 18:30) and then…. 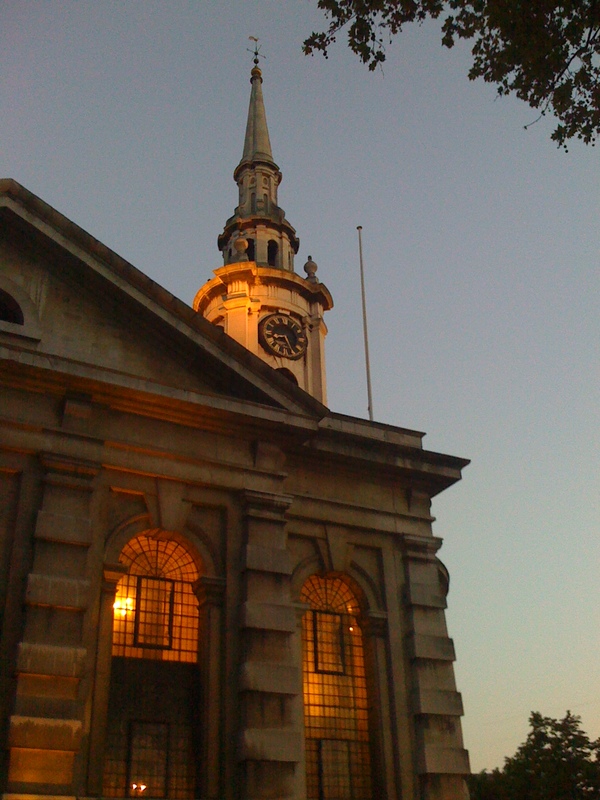 … to St John Smith Square (built 1713-28) for the Mass in B minor (assembled in its present form in 1749) (19:30). Hard copies of the 1711 Walk flyer are now available at Dr Johnson’s House and will shortly be available at many of the Queen Anne Churches.